Hi everyone and welcome. Over at the Frilly and Funkie Challenge blog we are in a decidedly romantic mood. It's Maggi's turn to host and she's calling her challenge 'Vintage Valentines'. Maggi says "It's sweetheart time and what could be more fun than creating Valentine's for our loved ones? For this challenge we want to see vintage valentines in vintage colors like pinks, blues, purples. No bright red please. Show us your vintage side with vintage colors and images. 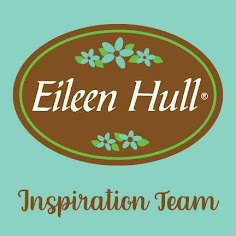 If you need some inspiration, click here to link to a great vintage color palette." For my Vintage Valentine project I opted to create a Tim Holtz Mini Framed Panel. The frame itself was altered in exactly the same way as for my Skeleton Leaves Panel (tutorial HERE) with a combination of Tim Holtz Distress Paints and Dina Wakley Media White Gesso. The background is one of the prints I pulled with the Gel Press Plate for my last DT project HERE. It layered up beautifully with torn scraps of Tim Holtz Worn Wallpaper and a little stencilling with Ranger's Opaque Texture Paste through Tim Holtz 'Nordic' Mini Layering Stencil. The heart was cut from some of the new Tim Holtz Metallic Confections Kraft Stock and embossed with his Sizzix Alterations 3D Embossing Folder - 'Kaleidoscope'. Sanding back the surface revealed some of the white and kraft layers beneath the metallic surface. You'll see from the close ups above and below that the heart was layered onto torn Worn Wallpaper and some foliage cut using Tim Holtz Sizzix Alterations Thinlits die set - 'Funky Floral #1'. A coat of Weathered Wood Distress Paint on some and Bundled Sage Distress Paint on others echoed the colour palette recommended by Maggi, enhanced with pieces of May Arts Wired Ribbon in Champagne. Using some of the background paper left over after covering the panel some flower stems were cut using Tim Holtz Sizzix Alterations Thinlits die set - Wildflowers. I also cut the word love from the same paper, covering them all in Glossy Accents to provide a textural contrast and help them stand out a little more. As a finishing touch I added some Pearl Clusters available from The Funkie Junkie Boutique. 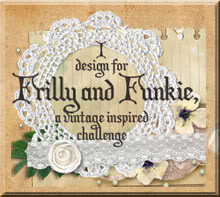 So that's my take on a 'Vintage Valentines' for the current Frilly and Funkie challenge. 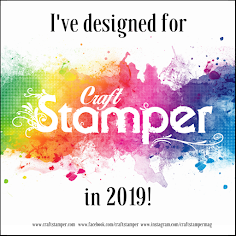 My talented team mates have created lots more amazing projects for this challenge so make sure you hop on over and check them out HERE. And remember to link up your own shabby chic or vintage Valentines to be in with a chance of winning one of the fabulous prizes. Oh wow! This is gorgeous!! I love the layering and dimension of the diecuts. So pretty, Jenny! I love the worn wallpaper background and the beautifully altered frame! And you got the Thumblinky to work! Yay! The layers are so cool! Love how you built up the flowers/leaves and the beautiful heart tucked in under the die-cut love! Gorgeous Valentine inspired framed art! Loving you fun layers. A beautiful Valentine. Such a fun background. Thanks for the inspiration on a fun challenge. I love your vintage valentine Jenny! Love the idea of sanding the metallic paper. Your heart is lovely, just like you!